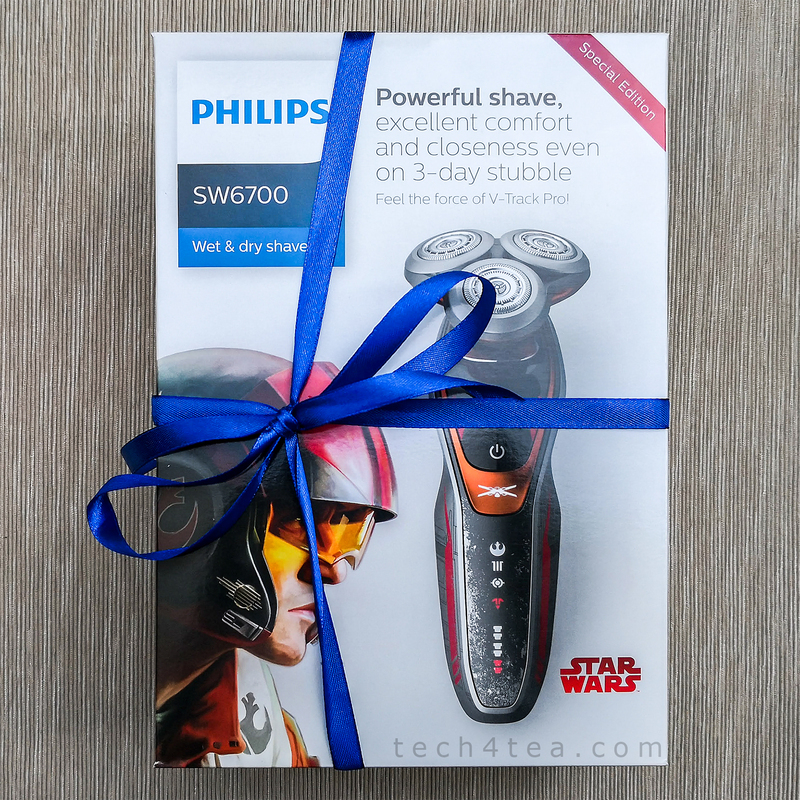 tech4xmas 2017 gift ideas review: Philips SW6700/14 Star Wars shaver « Tech bytes for tea? 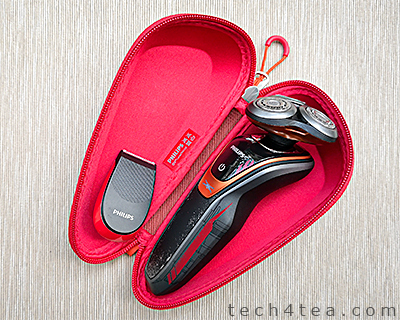 The Poe Dameron-inspired Philips Star Wars Shaver SW6700/14 comes with a pouch and a click-on precision trimmer. Apparently, it works even on flat laying and different lengths of hair. I didn’t feel any irritation or burns after use. And if you have thick facial hair (which I don’t so I couldn’t test this out myself), there is a turbo+ mode that ploughs through dense parts of your beard with the 20% extra power boost. 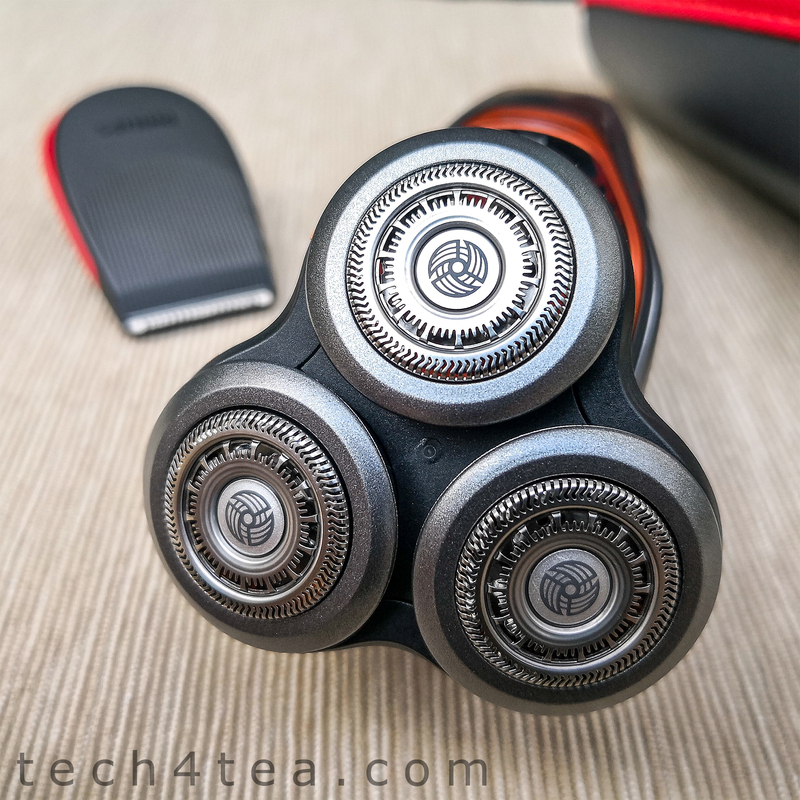 Thanks to the shaver’s Aquatec Wet & Dry seal, you can shave wet, with gel or foam, even under the shower. I prefer a quick but comfortable dry shave. 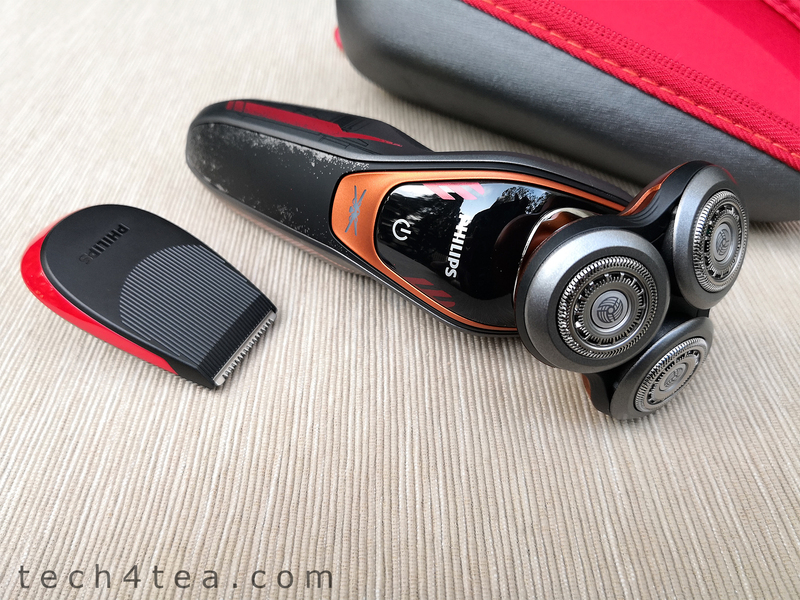 The rechargeable shaver provides more than an hour of cordless shaving on a one-hour charge – that’s about 20 3-minute shaves before the next recharge. 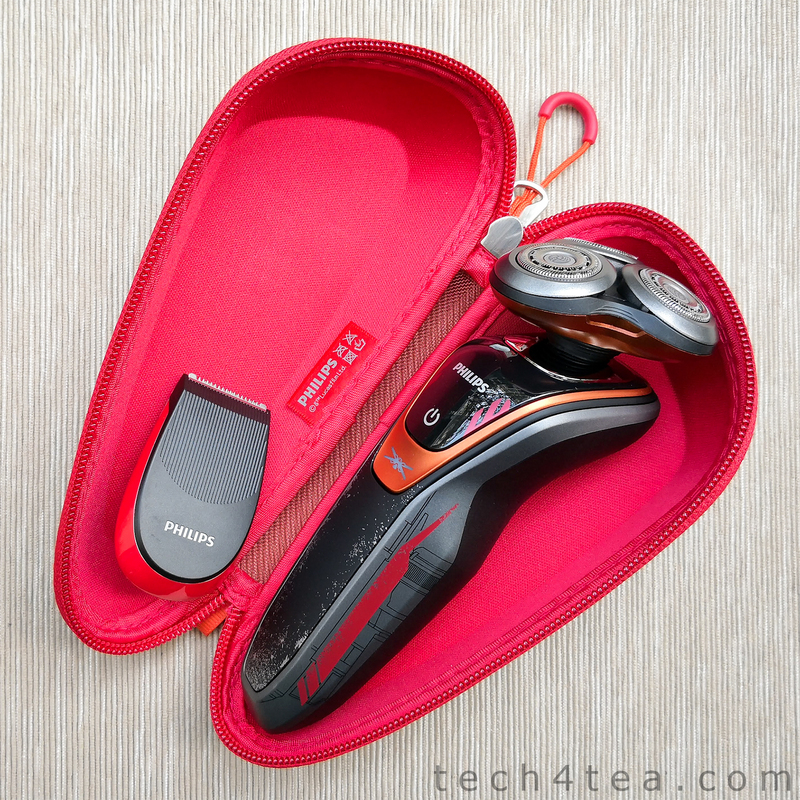 If you need a quick shave and the battery is totally drained, you can do a quick charge for 5 minutes and you can use it for a complete shave. What I love is that it is easy to clean the shaver after each use – simply open the shaver head to rinse it thoroughly under the tap. 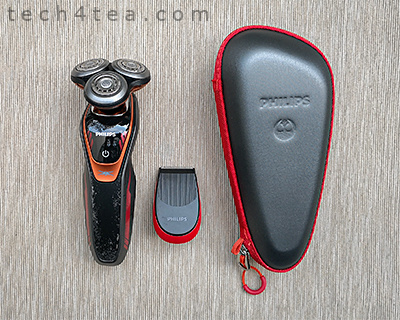 The shaver in the bright red pouch. 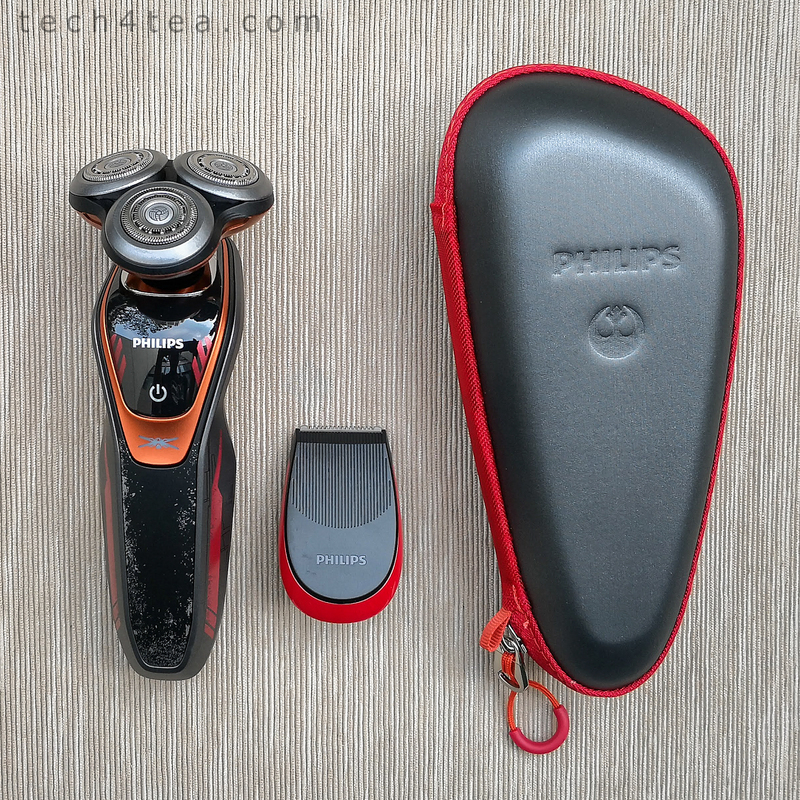 The shaver can adapt to any voltage and comes with Philip’s standard 2-year worldwide guarantee for its shavers. The long lasting blades only need to be replaced after two years. 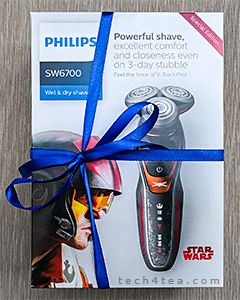 This Poe Dameron-inspired shaver (S$219) would make a lovely Christmas present for the ardent Star Wars fan, especially if the X-wing fighter pilot is the favourite character of the recipient. 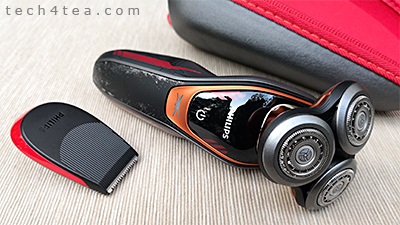 And for those who want to trim their sideburns and maintain a mustache, the shaver comes with a click-on skin-friendly precision trimmer in the box. This entry was posted on Tuesday, December 12th, 2017 at 12:36 pm and is filed under Accessories, Appliances, Beauty, Gadgets, gadgets, Healthcare, Lifestyle, Opinion, Philips, Prices, Review, reviews, Shavers, Specifications. You can follow any responses to this entry through the RSS 2.0 feed. You can leave a response, or trackback from your own site.